It seems we might finally have an answer to all the work that’s been going on recently at the old Newcastle Woolworths at 73-79 Clayton Street (store #340) – though not really thanks to any clever detective work on my part. Last month, work was taking place on site that seemed to involve air being noisily pumped out from large tubes on the ground floor (above); then, this month, similar tubes appeared out of the upper windows, while the ground-floor frontage was boarded off (below). When I walked past yesterday afternoon the door in the hoarding was open, and sticking my head through there was a very strong smell of paint or, possibly, new flooring. Unfortunately, however, the seemingly deserted interior was in darkness, so I couldn’t see very much at all. Fortunately, my fellow SkyscraperCity contributor, Al Reetson, had the wherewithal today to ask the on-site contractors whether the property had been let. 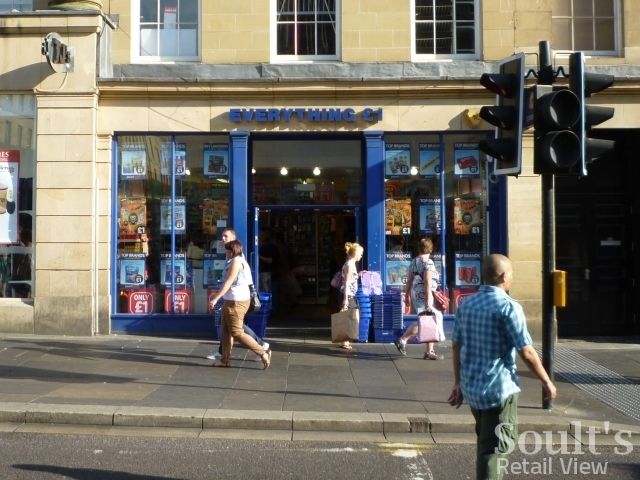 As Al revealed this evening, they said yes, it had – to Poundworld, the single-price retailer that already has a small store in nearby Grainger Street. 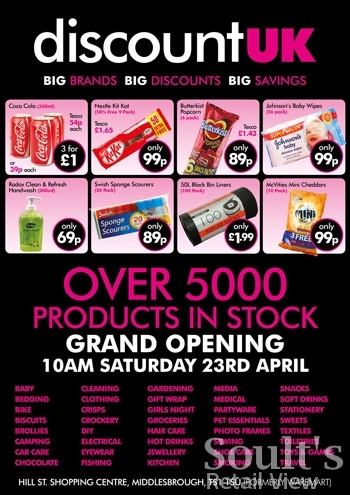 Though Poundworld has snapped up a few ex-Woolies locations – such as the store I visited in West Ealing last year – I’m wondering whether the large Newcastle site might, in fact, become a branch of Poundworld’s recently launched multi-price fascia, Discount UK? 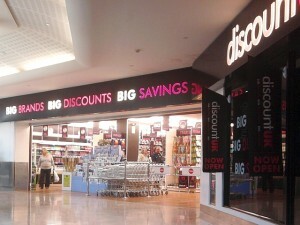 Regular readers may well recall that Discount UK opened up in the old Woolworths in Middlesbrough’s Hillstreet shopping centre (#1200) back in April, which I blogged about at the time. 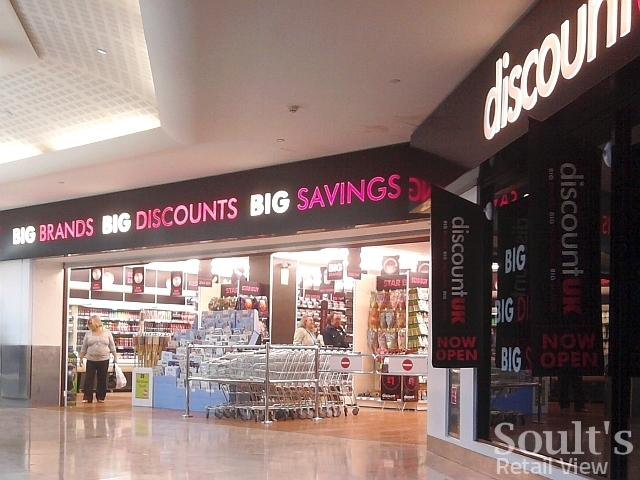 As I noted then, I was quite impressed – Discount UK is a much more upmarket looking store than Poundworld itself, and the Middlesbrough shop is really nicely done out inside using a palette of black, white and pink. The formula certainly seems to be working. 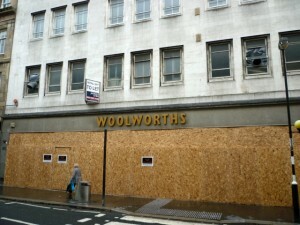 Another ten or so stores have opened since Middlesbrough, bringing the total to 13, and a Guardian report a month ago suggested that a further 15 sites would be added to the chain – described by buying director Chris Edwards as a “modern multi-price format” that is intended to “step into [Woolworths’] shoes”. 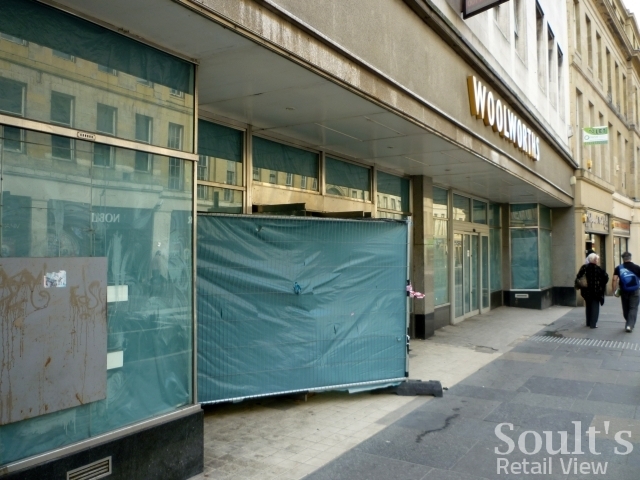 Crucially, Poundworld typically requires a ground-floor sales area of between 4,000 and 12,000 sq ft for its eponymous stores, and when its 12,500 sq ft Nottingham store opened in August 2009 this was reported to be the chain’s largest store to date. In comparison, the old Clayton Street Woolies, at 16,293 sq ft, is a fair bit larger than Poundland would normally require – but similar, I suspect, to the size of the existing Discount UK in Middlesbrough. Four months on, I definitely stand by that earlier sentiment. 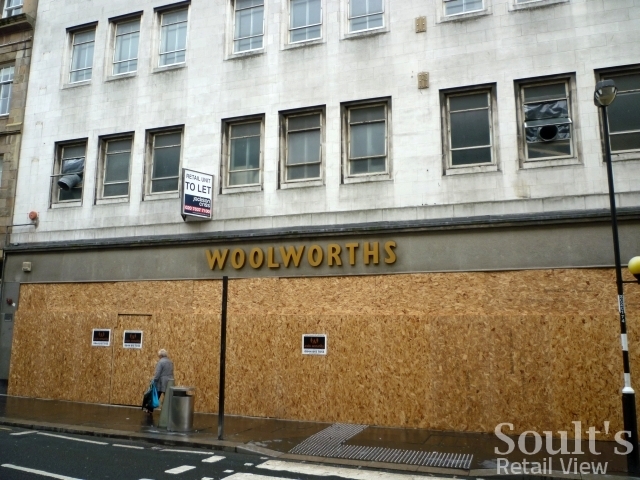 Though Newcastle’s Woolies was undoubtedly tired and in desperate need of TLC, there’s no doubt that footfall in Clayton Street has suffered since the loss of its main anchor store nearly three years ago, on 27 December 2008. The arrival of Discount UK – or even, if it turns out that way, the country’s hugest Poundworld – could be just what Clayton Street needs to get its retail mojo back. DUK Newcastle opening 4th November 10am… all welcome and of course yourself…. We have a provisional opening date of November 11th. 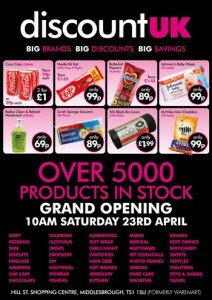 I can confirm we have taken the unit & will open as Discount UK. Excellent – thanks Chris! Is there any word on when you hope to open? 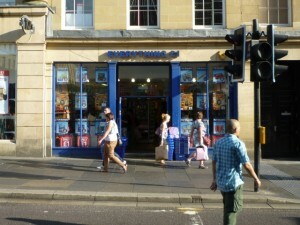 Interestingly, the Middlesbrough branch is smaller than the old Woolies used to be. It’s the same width but quite a bit shorter. 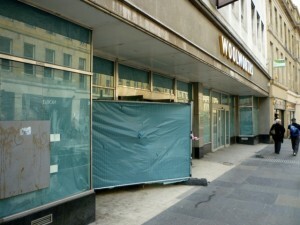 They could easily re-jig the Newcastle store to make it a traditional Poundland size.